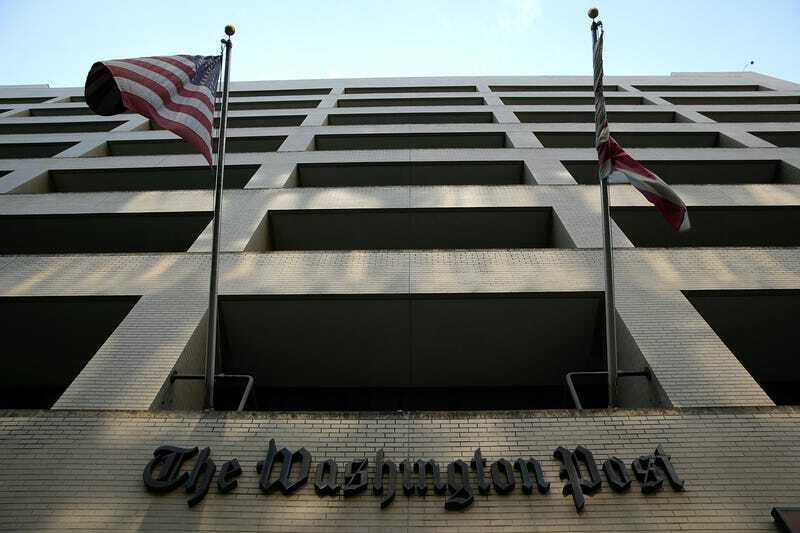 Hackers Invaded the Washington Post for "a Few Days"
Looks like Jeff Bezos's new toy, The Washington Post, is the latest victim in the hacker war on newspapers. Company officials announced Wednesday that hackers had gained access to employees' usernames and passwords, though it's unclear how much data the company lost. Post officials, who on Wednesday learned of the intrusion from Mandiant, a cybersecurity contractor that monitors the company's networks, said the intrusion was of relatively short duration. "This is an ongoing investigation, but we believe it was a few days at most," said Post spokeswoman Kris Coratti.